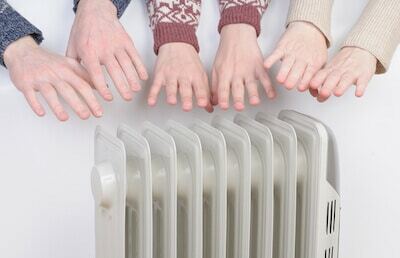 If you are interested in switching your heating supply for something more cost-effective, but unsure which is best, check out our guide to the most cost-effective ways to heat your home. It can be hard to predict the changing costs of heating and figuring out which will be the most cost-effective further down the line is nigh on impossible, thanks to the fact the many options vary in efficiency depending where you are in the country and the market prices. 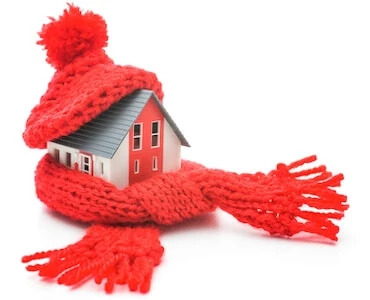 In this post, we will attempt to examine which is the cheapest way to heat a home. We’ll cover all the big hitters including oil, propane, natural gas, electricity, wood, and geothermal. Oil boilers (hot water heaters) and oil furnaces (forced-air ducts) have both been around for decades and decades. However, it’s fair to say that modern units are far more cost-effective. If you lucked out and had an exceptionally good boiler or furnace in the past, you’d consider it excellent if it achieved 70% efficiency. The models that are on the market today, however, in part thanks to developments in the design of burners, now often have an incredible efficiency rating of, at maximum, 86%. If you wanted to get the best of modern technology though, you’d have to invest in a stainless-steel liner to upgrade your masonry chimney. Though a less costly way would be to replace the burner with a flame-retention head that is better at mixing air and fuel. Oil prices are known to fluctuate quite regularly depending on a whole variety of reasons. Access to oil has even led to wars as it becomes one of the more scarce fuels left on the planet. Expect oil prices to continue to be unpredictable as the international politics of fossil fuels play out over the next few years. Recommended Reading: Check out our top energy saving tips for more great ideas that benefit the environment and your wallet! Propane and natural gas were great alternatives for people who don’t want to heat oil but also want to benefit from petroleum-related heating. They have always burned a lot cleaner compared to oil, especially before the more advanced oil furnaces we get nowadays and as a result, they never had that burnt oil smell that often came as part of the deal when you opted for heating oil. However, the energy content of both is significantly lower than oil. And while propane has not been as cost-effective as it used to be for many years, and possibly better than natural gas, that is still not the rip-roaring bargain it was at one time. When it comes to choosing gas though, it is more about availability than the cost really. As gas is delivered through the piping, it is more commonly found and used in the city and towns, because there is enough of a demand for it. Whereas propane has to be compressed and then is delivered via trucks, so is a better option for people staying in the country. The good things about propane and natural gas heating though are that you get to have a fireplace you can snuggle up all warm and comfortable, without the trials and tribulations that go hand in hand with a traditional fireplace. However, they may not require quite as much labor-intensive maintenance as wood-burning fireplaces, gas fireplaces aren’t better when it comes to efficiency than a furnace. We’re talking a difference between 70 and 96% efficiency. Therefore, if you’re seriously considering investing in gas as your heating fuel, look for the setup that makes the high price you are going to have to pay, go as far as it can. Take a look at some of the top propane powered garage and home heaters in our new guides. Electricity definitely delivers on the energy front, but the real major selling point of this form of heating is the efficiency. 100% of all the energy it produces is turned into heat, meaning that it definitely and without question, outperforms the alternatives and does not generate waste. Although that sounds amazing before you go converting to electricity, thinking it’s the cheapest way to heat a house, consider these two caveats. The cost of heating using electricity is exceedingly high. There is also the fact that unless you know the supplier, electricity is not actually any greener than the fossil fuel alternatives. For example, if a coal-fired hydro plant is providing the electricity, it is probably producing a similar amount of emissions as gas heat or oil heat generated. Electric heaters make use of modern technologies like micathermic and infrared heating to achieve very high efficiencies. You can read more about the top models in our guide. Firewood obviously was once the only fuel that was readily available to people living out in the sticks. For people who live in rural areas, it’s very much still a viable option, if you live in a heavily wooded area near lots of forests. Wood is actually the biggest bargain of all the more traditional forms of fuels, particularly if you source, cut and stack it on your own. That may account for its growing popularity, that and the fact that people love the feeling of sitting in front of an open fire, burning wood and getting warm and comfortable. Furthermore, if you’re trying to remove yourself from the political landscape surrounding other fuels, firewood is not a contributor to any international conglomerate company that regularly faces backlash. What you need to consider though is that although it is definitely not the worst, its reputation of being most environmentally sound is not exactly true either. Wood smoke is actually considered to be quite a dangerous source of air pollution. How do you get around that problem though? You invest in a food burning stove that has special emissions controls and a catalytic converter (yes, just like those found in cars). Modern wood burning stoves and fireplace inserts are much more efficient than their distant relatives of old – those masonry, open-hearth fireplaces everyone had a few centuries back. Those things used to actually pull more of the heat out of the house or a room than they actually provided. The great thing is that, if it is installed in the main family room or living area, particularly if you have a nice and open floorplan, with a minimal number of walls on the interior, a cutting-edge wood burner will provide just about all the heat you will need. 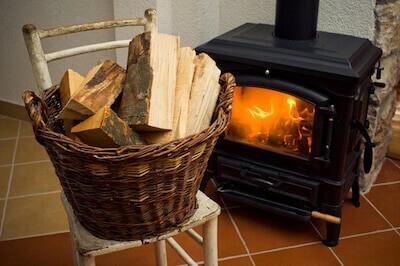 However, if you live in a larger or older building that’s already got an electric, gas or oil boiler or furnace, having a wooden stove could reduce the overall costs of your fuel use in your home. This was introduced in the 90s and was met with some cynicism. The idea of deriving energy from mother earth to heat your homes and never having to pay for oil again. However, it’s that last aspect that has driven the popularity of geothermal, and to some extent aquathermal – wanting to be free from the dependency to oil. It is so popular that it has become the fastest-growing heating technology in the country, that’s considered a real alternative towards conventional fuels and heating methods such as electricity and oil. 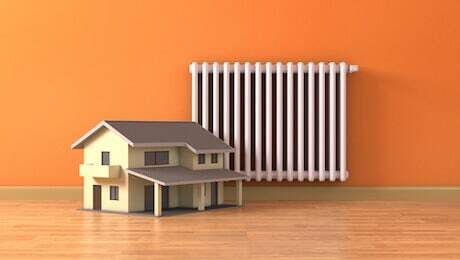 As it doesn’t rely to a large extent on fossil fuels, it is by far one of the greenest ways to heat your property. What about the price though, must be expensive surely? Well, actually, as the price of oil is guaranteed to rise, geothermal stands as being one of the cheapest ways to heat your home comparatively. Although you’d have had trouble trying to find a contractor around 10 years ago, nowadays you can find geothermal installation firms in the Yellow Pages. 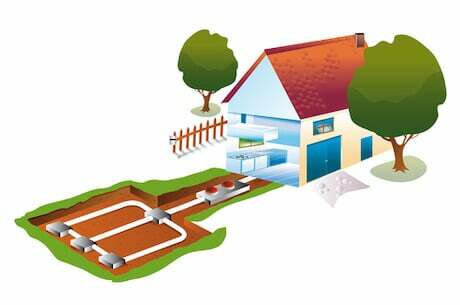 Geothermal works in a very efficient way, as it does actually create heat like conventional furnaces and stoves, it simply moves it from one place to another, so takes the heat from the ground and transports it into the house. A good way to understand how it works is to imagine a fridge in reverse. Geothermal energy and heating are so good because the temperature of the ground is at a constant of 10-degrees Celsius or 50-degrees Fahrenheit. Not just at certain times of the year, for most of it. Loops of piping are dug four feet down into the ground with the purpose of sucking heat up and spitting it into the house. All systems then have a compressor that helps to raise the temperature to a more comfortable level. Another great thing about geothermal heating systems for your home is that when summer comes along, they work in reverse and draw unwanted hot air from inside the house out. Another great bonus of having a geothermal system is the fact it can be used to provide hot water to your property. That’s not to say it doesn’t have its downsides. IT can cost quite a bit to install it, because of the necessity to excavate the ground and installation of a complete network of pipes underground. Also, it potentially can drive the household electricity costs up because it takes a lot of electricity to power the compressor. The biggest downside though is the fact that thanks to either poor installation or bad design, the system can be incredibly inefficient. However, the big upside is that if you run a geothermal system for long enough, a little less than a decade, it will start to pay for itself. This could be even faster thanks to federal government incentives. The best thing though is that you would never have to pay a heating bill ever again. When it comes to heating and trying to find what is the most cost efficient way to heat a home, and sorry because this sounds cliched, it really does come down to what your own situation is like and your own preferences. While some are not nearly as efficient as others, they certainly don’t cost as much. Whereas an option like geothermal heating will save in the long run. Think carefully about it and try to weigh up all the factors before making a decision.